$10.49 & FREE Shipping on orders over $59. Juicy and fruity, this strain is perfect for East Coast IPAs. Juice's ester profile will bring out the aromas and flavors of new school hops creating a fantastic finished beer. Just be sure to keep a close eye out during fermentation, this strain will climb right out of your fermenter if it doesn't have much head space. Juice - Need I say more? Used it before to great results. Sounds interesting and I'm wanting to brew some NEIPAs. Turned a good hazy IPA into a great hazy IPA last time used. The double cell count saves me from stepping up my starters for a 10 gallon batch. This is exactly the yeast I need to make my IPA's pop out on the hop character. Trying it out on an Milkshake IPA! 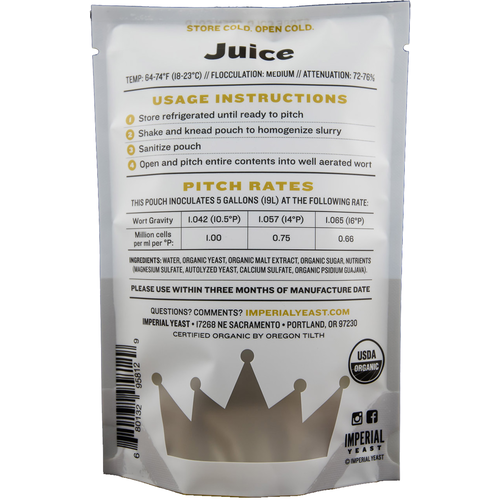 It was this yeast or the Vermont strain from Giga, but how can you go wrong with "Juice"? Haven’t finished fermenting but did start bubbling within 24 hours. Delivery was quick. Arrived before my grain. I’ll order more from here. Extremely fast ferment. Grain to glass in about 9 days. Really complemented an Amarillo pale ale nicely. Clean and juicy. Delish. 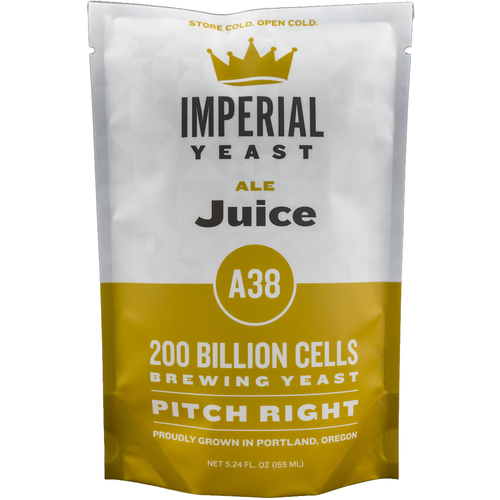 I recently brewed my first NEIPA and A38 was my yeast of choice. I pitched two packets (OG was 1.074) without a starter (I’ve never bothered using a starter). FG finished at 1.014. I had it brewed, crashed and kegged in 12 days. It came out great, I couldn’t be happier! First attempt brewing a NEIPA. Came out great! Excellent IPA yeasts, especially for those NEIPAs. Make sure you have a ton of headspace, this yeast likes to produce a huge krausen. Got exactly what I was looking for with this strain. Got to high krausen within 2 days and stuck around for the majority of fermentation(12 days). Got that hazy, juicy IPA I was trying for. Me & MoreBeer will be friends for a while. Imperial has become the only brand of yeast I use. With or without a starter I consistently get vigorous fermentation within 12 hours of pitching. It is awesome. Very active fermentation, had a 2L starter over flow, first batch of a NE TIPA is tasting great so far! High quality fresh and tasty yeast. The package arrived quickly and in good condition. Package date was only a few weeks old and it showed from a quick and complete fermentation. As the directions mention, use a blown off hose if your fermenter is short on headspace. The Krausen reached the 7.5 gallon mark from 6 gallons of wort in my Speidel. Brewed a NEIPA that came out fantastic and will for sure to use this product again. Cheers! Quality packaging, arrived quickly. Highly recommend purchasing the ice packs for shipping. 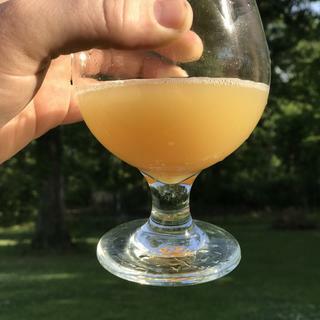 I made a starter for an NEIPA that I've done many times before and this time, other than 1 hop change, the only other change was switching to Juice yeast. I've not kegged this one yet but I have had a taste from the fermenter after very much enjoying the wonderful hop aroma this yeast helps give out. 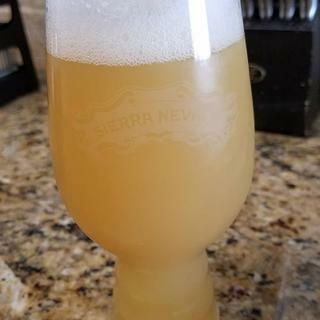 The taste was every bit of what I wanted in my NEIPA. I'm hopeful it will turn out well. I plan to try this yeast in a few hoppy but sessionable pale ales as well. This yeast is a beast! The Imperial Juice Yeast arrived about 1 month from its packaging date, so it was very fresh. 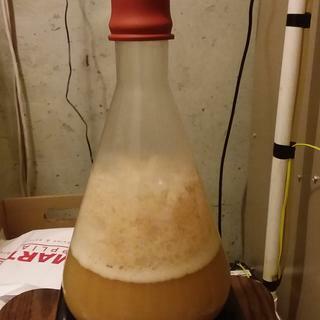 I brewed an East Coast IPA a couple of days after receiving the yeast. I made a 1L starter as I normally do, so I was probably pitching near 300 billion cells at fermentation time. I used a blow off tube and jug on my fermenter (a Big Mouth Bubbler,6.5 gallon). After 8 hours, the batch was "glugging" very heartily and didn't stop for 4 days. My OG = 1.061 and the FG = 1.009. The one thing I noticed was that the krausen did not fall out after about 10 days in the fermenter, so I had to manually scoop it off the top of the finished beer before dry hopping and bottling. In the end, the beer aged perfectly in <2 weeks and my friends and I have been enjoying the hazy, juicy goodness of an East Coast IPA. Wow...can you say furious ? It was exactly what I needed for a tasty. 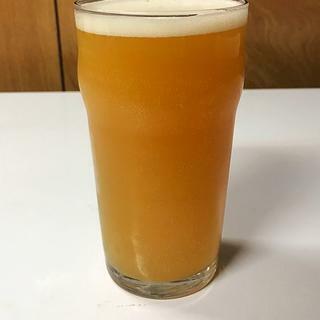 NE style juicey IPA. Fast starter and vigorous fermentation. It actually blew the grommeted lid off the top of the bucket after the airlock got clogged up.Make sure you have plenty of headspace and use a blow off tube. It’s a great yeast for New England Double IPAs. Brings out the best in your fruity hops. Very Juicy but without funk like some other strains. Works well with fruity or citrus hops. Love the yeast. I am sad to hear they are going to be changing the container to bags instead of cans. I travel with mine and traveling with a bag is just not going to cut it for me, so I guess adios A38 unless they keep it in cans. If you have a chance this is the real deal for NE IPAs or pale ales. Citric aroma and delicious taste. Great for NEIPA, slower than London 3.